According to recent reports, at least two patients have died at Auburn Regional Medical Center as a result of falls. This hospital has reported more falls than any other hospital in the state of Washington over the past six years. Since Auburn is the state’s 32nd largest hospital, this means that quite a few patients are at risk of suffering from medical malpractice. John Basic of Renton died after a fall at Auburn Regional Medical Center in 2008 after falling off the recovery table while coming out of anesthesia after a routine procedure. He hit his head and suffered a brain injury. After a month on a ventilator, he contracted a lung infection that ultimately proved fatal. 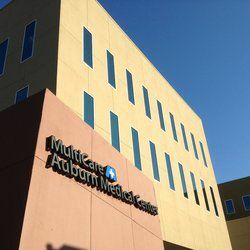 Auburn Regional Medical Center settled with Mr. Basic’s family last year for an undisclosed sum. Auburn Regional Medical Center is currently facing the highest federal penalties of any hospital in Washington state for its poor readmission rates; a high number of patients who are discharged from the hospital had to be readmitted after further health complications. The hospital has the worst patient satisfaction rating in the state of Washington. Consumerreports.com has given the facility one of the state’s lowest surgery safety scores. Will a sale help or hurt patient safety? Until recently, Auburn Regional Medical Center was operated by a for-profit chain called Universal Health Services. They have now been bought by MultiCare for $98 million. MultiCare sent a safety analysist to the hospital and updated procedures, equipment, and staff training. It has paid special attention to patients at high risk of falls, who now wear yellow wristbands and special socks that will give them extra traction on slick hospital floors. But MultiCare is not without its problems. There have been many reports of malpractice at Tacoma General Hospital, another facility run by MultiCare. Only time will tell whether MultiCare’s safety measures will pay off.